Bloom Art Show, a Flower-themed Pop-Up is Coming to Griffith Park! I took the boys (all three of them) to Griffith Park last weekend to check out a scaled down version of an interactive Pop-Up art show arriving in June. The Bloom Art show, a flower-themed installation is the creation of two besties who met in high school and wanted to create an experience to delight Angelenos. Among the things we enjoyed: Giant dandelions, a flower petal bed, a bee maze where kids are able to run with bee wings and antennas included, an edible flower station, a lavender-filled bathtub, paper flower walls, a paint station to decorate your own paper lantern flowers, a weeping willow installation and a flower crown and bracelet station. This preview, however, was promoted as a fraction of what guests should expect when the art show opens to the general public on June 22, 23 & 24. The Bloom Art Show is the perfect setting for family portraits and selfies. You'll find countless pretty backgrounds and the kids will love the freedom of running around and engaging in fun activities! Hope you make it out, friends. Get Ready for a Heartwarming Documentary! Spring Break for Benny is almost coming to an end but if there's one cool thing he got to experience during his mini vacay, it had to be a private advanced screening of the IMAX Documentary Adventure, Pandas. We got an invitation to watch the film before it opens in select IMAX Theaters on April 6. I was really bummed because as much as I wanted to spend time with Benny during his brief time off, I have been swamped at work. Fortunately, my husband Paul was available and he took Benny to watch the movie at the IMAX theater at Universal City Walk. I just love how Benny's Panda Hat looks against the big screen! Narrated by Kristen Bell, Pandas takes viewers to the Chengdu Panda Base in China, where scientists are taking the captive breeding program to the next level and preparing captive-born cubs for the wild. The film follows one such researcher, whose passion leads her to initiate a new technique with a special panda named Qian Qian. The film, captured with IMAX® cameras, follows Qian Qian on an an adventure into the mountains of Sichuan as she experiences nature for the first time and discovers her wild side. My husband tells me Benny really enjoyed the film (he even wore his panda hat that Abuelo brought him from China). Plus, he got to put on 3D glasses which I'm sure made him happy! Pandas will be showing at the California Science Center beginning April 6. The film is rated G and its total running time is 40 minutes... meaning, it's definitely possible to sit through the film and watch it in its entirety with small kids! Hope you get a chance to watch Pandas. For families looking to spend an evening feeling happy and bubbly, the Discovery Cube in Orange County just launched its Bubblefest Exhibit which is happening now through April 8. My sons and I visited the exhibit on Saturday morning and now I'm wondering when I'll be able to squeeze in another trip before Bubblefest is gone. It was tons of fun! Bubblefest features everything from Bubble Walls and giant Bubble Spheres you can ride over a pool of water (you'll suddenly think of your kids as hamsters inside a wheel). There are also bubble art discovery stations and a bubble lab plus a fantastic Mega Bubblefest Laser Show to end your experience with a bang! The Bubblefest takes place mostly inside a designated Bubble Zone where littles can also jump their way through inflatable obstacle courses and take a picture inside a Bubble Wall. In general, I think allowing 2-3 hours for your kids to enjoy Bubblefest is a good time. I hated to burst their bubble but after spending several fun hours inside the Bubble zone, I told my sons it was time to go home. They got sooooo upset. Benny began complaining about having to leave "so early" and Toby was crying because he wanted to stay inside the bouncy obstacle course longer. I promised them a small gift shop souvenir, which made things better. 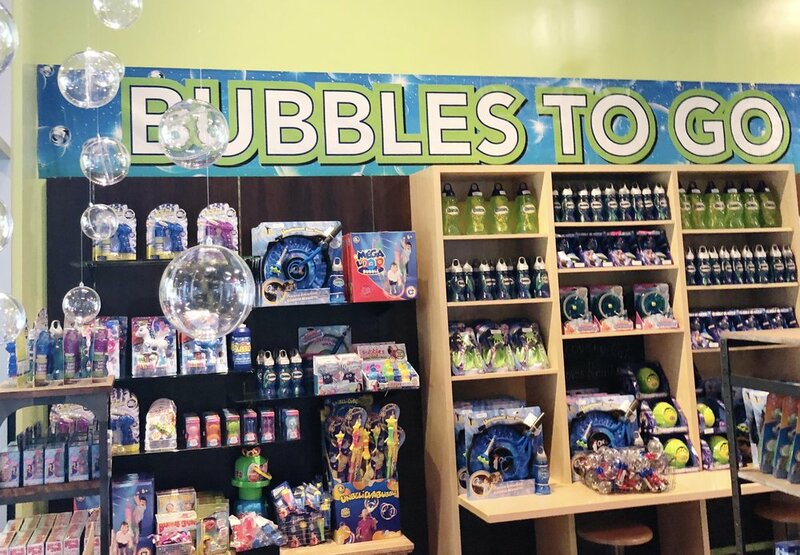 Over at the Discovery Cube's gift shop, there is an entire section of bubbles and bubble-themed gifts including giant bottles of bubble solution and a number of bubble toys. They wanted everything there (but Benny ended up choosing an freeze-dried ice cream bar and Toby went with a miniature hand-crafted glass cow...lol). Tickets for Discovery Cube are $17.95 for adults and $12.95 for kids. Tickets for Bubblefest are $10.00 (for guests ages 3 and older). Keep in mind a separate ticket is required for Bubblefest (in addition to your regular Discovery Cube Admission ticket). Passes to watch the Mega Bubblefest Laser show are $3.00 per person. I hope you enjoy your Bubblefest Experience. Planning a Visit to the LA Zoo? Consider a Membership! After weeks of asking to visit the zoo, my son Benny finally convinced me to make the trip. I'm still not sure what sparked his eagerness but he sure insisted on going! I decided to make the trip on a Saturday. The boys woke up and had breakfast at home. Then I packed some sandwiches, snacks, drinks and bottled water. I also made sure to bring sunscreen lotion and hats for the boys since it was going to be a very hot winter day....yes, we have those in Los Angeles. While we really enjoyed our outing and I got my workout for the day (the zoo was built on a hill and there's plenty of leg work waiting for all stroller-pushing parents), I must say I probably won't return without a zoo membership. I say this because even though we packed our lunches and went as prepared as possible, the zoo is an all-day outing and after exploring for a couple of hours, it's likely you'll want to buy some snacks, a few trinkets for the kids and let them ride the zoo carousel. The costs quickly start adding up but with a membership, you'd at least skip paying for admission. Preferred Parking: $10 (These days I'd rather pay a little extra for convenience. Regular parking is free). Double Stroller Rental: $14 (Zoo strollers are very easy to maneuver. Benny outgrew his stroller phase and I couldn't have possibly expected him to walk the entire time). Food: $22 Pizza slices for the boys and a cold beer for Mama (I needed it). Churro: $5 The zoo churros are actually really good. Gifts: $17 I told the boys they'd get to pick a gift on our way out if they behaved. Now, I know I could have saved money by avoiding the gift-buying option at the end of the day and skipping on the churro and pizza slices... but these boys get hungry very often and the sandwiches were gone after the first hour there. The pizza was definitely NOT great. As a matter of fact, the crust was burnt but my cold beer made up for the annoyance I felt over that. The boys had apple juice and to them, pizza is always good, so they didn't complain. In terms of seeing the animals, we weren't too lucky that day. The Chimpanzees never came around. The Lions never got up from their afternoon nap. Toby was deathly afraid of the giraffes so we couldn't get near them. The same happened with the Silverback gorillas... Halfway through our visit, it was very clear a membership is necessary, especially if I want Toby to become a little more acquainted with the animals he loves to see in picture books! At the end of our outing, upon returning the double stroller, I asked Benny and Toby if they had enjoyed their trip to the zoo. We hadn't even exited the zoo main gates when Benny asked: "When are we coming back, Mama?" To which I responded: "Whenever Papa can join us" because honestly, it was soooo exhausting to go with the boys on my own! On top of that, I really don't think we'll return without first buying a zoo membership. For one, supporting the LA Zoo's animal conservation efforts is a good cause in my book. Also, we live close enough where a zoo outing on days we have no other plans is a good option. There are also individual zoo memberships available. I'll keep you posted next time we visit. The days of having those barely there whispering thoughts about possibly having a third baby and delivering a girl ARE LONG GONE. My two boys and husband are far more than I can handle and I'm extremely happy with being a boymom... and that's the God honest truth. The other day, I took my sisters with me to meet Nicky Hilton at the Kitson Store on Roberston Blvd. I was invited to check out the Nicky Hilton x Tolani Mommy & Me Collection and I thought it would be fun to bring Irene and Frances along. Being there with my sisters and seeing Nicky and Paris Hilton supporting each other made me remember how cool it is to be a girl and how cool it is to have sisters. Then I started looking through the Nicky Hilton x Tolani Collection pieces and I may have, for a moment, thought to myself... "awwww, if I only had a little girl...."
But then I saw a cupcake table next to me and...Sweet! Perfect excuse to reroute my thoughts. The Nicky Hilton x Tolani Collection features twenty pieces for Mom and Daughter. There are dresses, rompers, tops, shoes and other super cute, boho chic and floral pieces that are perfect for Spring and Summer! Nicky Hilton was super friendly and sweet. Her mom, dad and sister were there in support of her collaboration! Clothing prices from the Nicky Hilton x Tolani collection range from $34 to $248 and can be purchased at a number of retail locations as well as online. My favorite pieces from the collection are the Kate Abyss Dress and the Kimberly Feathers Top. The pom pom sandals are also too cute to be ignored! Everything in this collection is appropriate for festival season, spring flings and summer parties. If you have a daughter, you may fall in love with the collection and buy a few pieces. If you don't have a daughter, you'll probably imagine the possibility but then remember you're fine with having boys only and you can still enjoy a Nicky Hilton x Tolani piece! This is a sponsored post. I received a Bristol Farms Gift card in order to prepare for this post. All opinions are my own. Many of you may already know that my family suffered a loss recently. My dear grandmother Angelina is in heaven. She left us in the days leading up to Toby's second birthday so I knew we would skip on a big birthday celebration for my little boy. What I didn't imagine was how much joy and peace it would be to have a quiet and personal backyard birthday lunch for my son. Everything turned out perfect! For one, Toby is a little foodie. He loves to eat–– from vegetables and meats to fruit and yummy starches. In planning his birthday lunch, I wanted Toby to enjoy a hearty & succulent meal that included a quality protein and yummy sides. I drove out to Bristol Farms in Woodland Hills (read all about my shopping trip here) and when I made it to the meat department, I knew I had to get a steak. I opted for a prime grade, USDA Ribeye from Cedar River, which has no hormones or antibiotics. I pan seared it to medium since I couldn't think of a better way to enjoy such a quality meat cut! Then I picked up ready-to-eat mashed potatoes and gravy from their hot foods section and a batch of fresh asparagus, which I lightly drizzled with olive oil, and sprinkled fresh garlic and a few dashes of salt before baking in the oven for a few minutes. For dessert, I went with a simple swirl bundt cake, fresh strawberries and a can of whipped cream. I decorated the cake with a few star-shaped Party Picks (also purchased at Bristol Farms). Needless to say, Toby was so happy! For one, I made it a point to decorate the table with a truck (he's currently obsessed with trucks). I turned the truck into a type of vase for the flowers I purchased at Bristol Farms. At one point, Toby decided to bring a vintage airplane from his room to accompany the truck. He savored his tiny meal one toddler bite at a time and even asked for more. The Ribeye was exquisite and very tender (and it's on sale too). After we sang Happy Birthday, he took a slice of bundt cake and spread whipped cream on it with his little fingers. It was so cute! My Toby is a very special little dude. He's got a short-temper but a gentle soul. 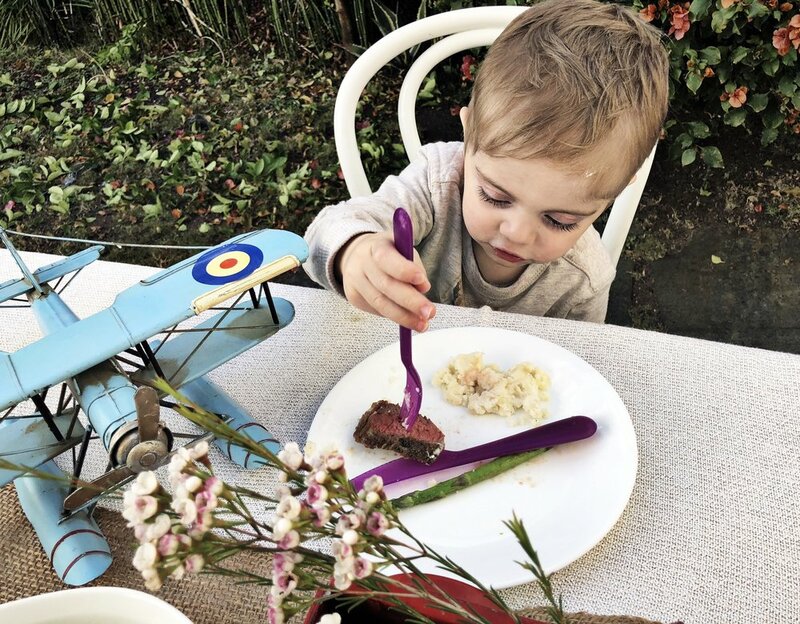 He's always happy at the dinner table and this backyard lunch was no exception. I hope I inspire you to make a trip to Bristol Farms. It's a much-loved SoCal Grocery store that offers quality products. New Woodland Hills Location is Awesome! This is a sponsored post. I received a Bristol Farms Gift Card before the posting of this article. The Bristol Farms store in Woodland Hills has only been open for a few months and already seems to be a preferred grocery shopping destination for San Fernando Valley residents. Upon walking in the store, I was greeted by a wide selection of fresh flowers ranging from hydrangeas and sunflowers to rose bouquets and orchids. Next to the flowers, a Gelato stand offering $3 scoops of creamy cold dessert was another big reason to smile. (The Woodland Hills store is the only one with a Gelato department). Then I walked to the Beer & Wine section which had an incredible variety of reds, whites and everything in between...and before I could process the awesome selection of libations, I looked up and found an end shelf display of Sugarfina desserts across the way. At that point, I hadn't even begun shopping for the things I was there to buy but I knew I was in for a treat! According to the company's corporate profile, Bristol Farms was named after a street in West LA, and the word “Farms” was added "to emphasize freshness, homemade quality and a warm glow of simple pleasures." The first Bristol Farms store opened in 1982 in Rolling Hills and has since expanded to a dozen other LA-area stores. Bristol Farms offers quality groceries. They have a deli, a ready-to-eat food section with fresh salads, entrees and pastas. The produce is top-notch, often organic and locally sourced and the meat department is very impressive. Here's the best part of the whole experience, I bought steak, side dishes, wine, dessert, fruit, fresh flowers and even party decorations and kept the total under $100. Now I'm off to make a birthday lunch for my son Toby who's turning two. Stay tuned to see what I whip up in my kitchen! Care Bears and CREAM have partnered up this month for a super cute (and yummy) ice cream treat offer. Throughout the month of March, customers who stop at the CREAM ice cream shop in NoHo and/or Northridge will be able to order either a Lucky Bear Ice Cream Sandwich made with double chocolate chip cookies, mint chocolate chip ice cream and topping of choice (I suggest gummy bears!) or a Care Bear Berry Ice Cream Sandwich made with butter sugar cookies with shamrock confetti strawberry ice cream and sprinkles. Benny and I attended the kick-off event on Wednesday Night at the CREAM store in North Hollywood. There were giveaways, games, face painting and even a special celebrity appearance by Real Housewives of Beverly Hills star, Teddy Mellencamp... who was lovely to talk to! Don't you think her first name alone combined with her cuteness makes her a perfect ambassador for Care Bears events!? Her kids are adorable too! Anyway, Benny's favorite Care Bear is Good Luck Bear (because his favorite color is green) and considering this campaign was perfectly planned in time for St. Patrick's Day, we had a lot of fun with Good Luck Bear-themed surprises at CREAM's kick-off event! For one, he got a green leaf clover face painting by the lovely gal who owns Critterosity, then he won a Care Bears blanket. Then after ordering our Lucky Care Bear Ice Cream Sandwiches, we received the cutest Care Bears trading cards! A collection of eight different trading cards were created as part of this collaboration. Customers who purchase a Care Bears Ice Cream treat will receive one a checkout! Overall, we had a blast celebrating Care Bears and CREAM's Ice Cream partnership. Make sure you stop by CREAM to get yours before the campaign ends on March 31! 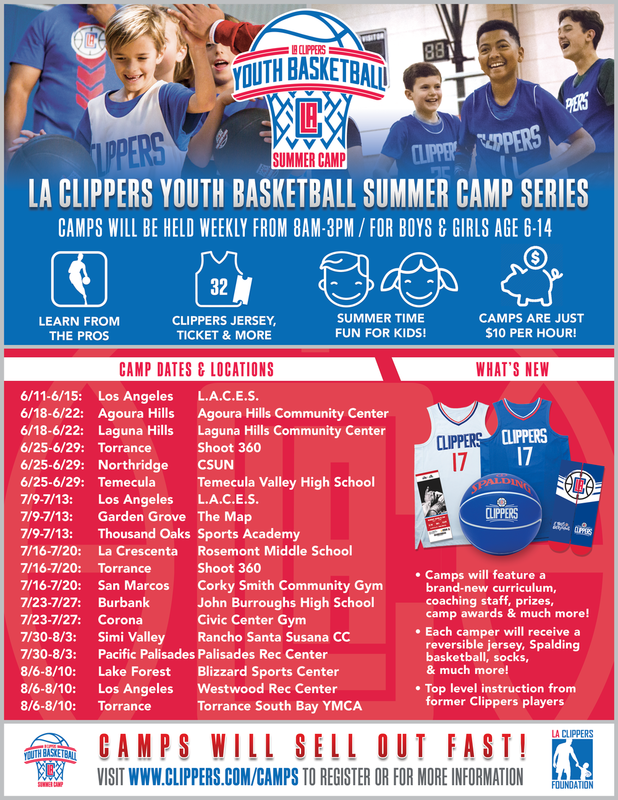 Three Venues for Children's Parties in Los Angeles! 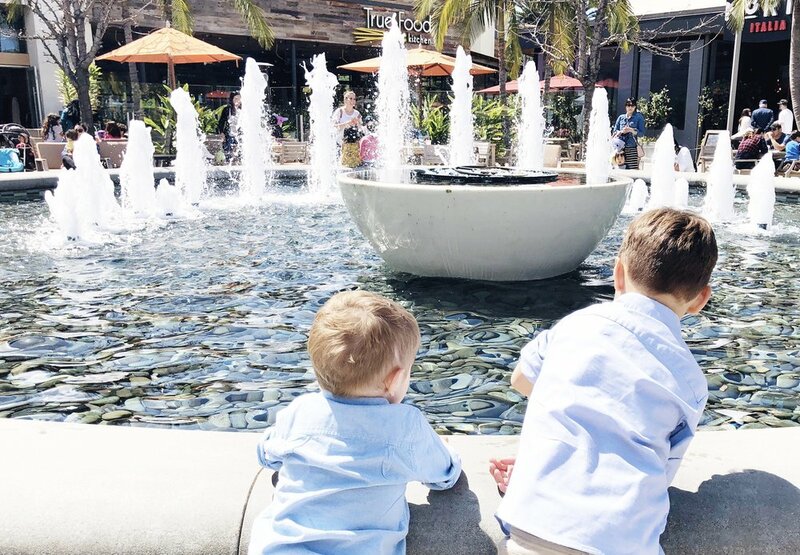 Planning a children's birthday party in Los Angeles will leave you with tons of destinations to consider for the venue. Depending on the interests and age group of the kids who will be attending, you could have a difficult decision ahead of you trying to narrow down all of the selections! Here are three popular party venues that range from educational to adventurous. Keeping these spots in mind should make the decision a bit easier for you! This spot offers an educational, interactive way to celebrate a birthday by building robots. It starts with a robot battle in their arena, followed with step by step assistance building a "Party Bot". Each party comes with two hours of activities, a private room and host, robot battles, and a shirt for the child celebrating their birthday. You can add food or drink or bring your own along. It's super easy to book your party online and get a custom cost based on how many kids will be attending. If you're familiar with the Food Network, you know Duff Goldman to be a champion of creative cakes. Here, you can host a cupcake decorating party with tons of colorful details. Their parties include 1.5 hours of time and four cupcakes for each guest to decorate. It includes help from the staff, beverages for the kids, balloons, all of the sugary decorations you could dream of, and an apron for the birthday kid. Packages start at $48 per child. If everybody attending is six years or older, this rock climbing destination is the perfect way to satisfy adventurous kids. Indoor rock climbing is a lot of fun for kids, and the staff at Rockreation do a great job at providing supervised fun. Party packages start at $300 and include two hours in a private party room, set up and clean up, gear for everybody and games like capture the flag. How About Transporting the Kids on A Party Bus!? A great way to introduce convenience and organization to a children's birthday party in Los Angeles is to reserve professional transportation. When you have a vehicle ready to transport kids, you don't have to worry about anybody showing up late to the celebration. Children love the neon lighting and interiors of vehicles offered by California Party Bus. If you're looking for a simpler transportation solution, a chauffeured car service is an affordable way to settle the mode of transportation for the day. With these tips and tricks in mind, you're well on your way to planning a party in Los Angeles. The J Paul Getty Museum Gets $500k for Youth Art Programs! The J Paul Getty Museum received $500,000 today, thanks to luxury car brand, Genesis. The grant donation made me really happy because my sons and I love The Getty! I was at today's grant presentation ceremony at the Riviera Country Club in Pacific Palisades. Genesis representatives shared how much they believe in The Getty's efforts to expand art appreciation to school-aged children and teens. Seeing what The Getty did with the donation it received from Genesis last year, I was thrilled to share today's news. You see, the J Paul Getty Museum is getting ready to release the launch of Unshuttered, a unique art program that allows teens to share aspects of their lives through a camera lens. The Unshuttered website, www.Unshuttered.org, will be live on March 10 along with an app, and both will serve as a platform where teens from Los Angeles and beyond can participate by sharing images that define them. "We chose photography as the medium for this challenge because it's a kind of art that teens make every day and it's a platform that they use to form connections to each other and to ideas across time and space," said Lisa Clemens, Assistant Director, Education, Public Programs and Interpretive Media at The Getty. I'm really excited to see this project unfold and even more to see how The Getty's education program will continue expanding to reach under-served youth, thanks to generous sponsors like Genesis. Here's to many new great programs for kids at The Getty! Toby's Excited about the Upcoming Sesame Street PopUp Tour! Toby can't wait to meet the real life Sesame Street characters! Prediction: He'll probably get really excited from a distance. Then really scared as we get closer to Elmo and Abby Cadabby. It's possible he'll even cry a little. But then as we move away, he'll be intrigued and super happy because he loves Sesame Street! HBO and Sesame Workshop will be presenting "Sesame Street: F is for Friends," a free mall tour inspired by the 48th season of Sesame Street! This immersive, limited-engagement tour includes a 15-minute show starring costumed Elmo and Abby Cadabby characters as well as stories and songs about celebrating similarities and differences between friends. Pre-schoolers and their families will learn that while we may be different from one another, we're alike in so many ways, too! They'll repeat throughout the day from 11am-4pm. Families will also enjoy character meet-and-greets, digital activity stations, photos ops with Cookie Monster's new food truck and more! The Cutest Hello Kitty Shoes Ever! It's times like these when I kinda' wonder what it would have been like to have a little girl. Would I be wanting to pull off the twinning deal with a daughter? Or was that only a thing I had with my Benny after years back? I guess I'll never know. What I do know is that PUMA and HELLO KITTY recently introduced an irresistibly adorable collaboration that features tees, hoodies, hats, backpacks, sweat pants and the shoe brand's signature awesome suedes (in red). I was invited to a Popup at the Shoe Palace in Hollywood with a few dozen other Hello Kitty fans to see a preview of the new collection and enjoy some Hello Kitty-themed treats, including a photo with the Kitty herself. The PUMA x HELLO KITTY Collection will be available February 8 online and in stores. The shoes come in a wide range of sizes to fit adult women, juniors, preschoolers and infants. I guess you can say I'm in desperate need of a goddaughter! Do you ever wonder what it's going to take to have a happy, lasting relationship? Paul and I have been married for nearly eleven years and we're still trying to figure it out. But one thing's for sure, after the arrival of our two boys, things got busier, more stressful, more complicated, we became distant and we almost contemplated time apart. Toward the middle of 2017, we decided to start going on dates regularly, which eased the tension of daily work life. But here's what I think has helped us most: We have a rule where we cannot be on our cell phones and/or engage in social media activity while on a date. Heck, I don't even get a chance to snap a photo of our yummy food and we're rarely photographed together because of this rule...but it has worked for us. View of the Hollywood Roosevelt's poolside lounge area, which is open to the public. On a recent date, we stopped by the Hollywood Roosevelt Hotel for lunch. It was daytime (because the kids were in daycare and we didn't have an evening babysitter). We toured the hotel and shared a few laughs about things we encountered. We also sat down for lunch at Public Kitchen & Bar inside the Roosevelt (they have an awesome Tandoori Chicken entree). We agreed to bring out my phone to snap a few photos for this post, but that was it. Public Kitchen and Bar is an iconic restaurant inside the Roosevelt. It's rather calm during lunch hours. When it was time to head home, we were happy and giddy (Paul is truly forever my guy) and neither one of us felt that leaving our phones behind had caused any major problems for anyone. Put away the gadgets. talk to each other, look into each other's eyes. If you simply can't get rid of the technology, make a date night movie, shop for an outfit, choose the soundtrack together and have fun without forgetting love is not an app. For our next date night, I've convinced Paul to join me in watching Forever My Girl, which will be out in theaters on January 19. He needed convincing because he's an action and thriller movie type of guy but I think he'll really like this one. Forever My Girl tells the story of music super-star Liam Page (Alex Roe) who left his bride, Josie (Jessica Rothe), at the altar choosing fame and fortune instead. However, Liam never got over Josie, his one true love, nor did he ever forget his Southern roots in the small community where he was born and raised. When he unexpectedly returns to his hometown for the funeral of his high school best friend, Liam is suddenly faced with the consequences of all that he left behind. Forever My Girl is an uplifting romantic film about second chances. It releases in theaters on January 19. I hope you consider some of these tips and even watching this movie, especially as you start making your Valentine's Day plans. Beauty Collection Stores- The Way to Look & Feel Beautiful in LA! Get 20% Off Your Favorite Beauty Products! Shop at Beauty Collection Stores! As you may know, I'm very loyal to businesses and concepts born in Los Angeles. I'm also loyal to good makeup products that make me feel good and refreshed. So when I discovered the Beauty Collection Store in West Hollywood a few weeks ago, I was in pure makeup & beauty heaven! As you're getting ready for your New Year's Festivities, I wanted to share a little bit about Beauty Collection and hopefully encourage you to seek them out for all your makeup glam needs: www.BeautyCollection.com (get 20% off with promo code: mommyinla). Beauty Collection is a company owned by LA Native Shawn Tavakoli whose parents also worked in the beauty industry. He created a beauty concept where Angelenos can have a lavish in-person shopping and beauty experience at five different store locations (Calabasas, Malibu, Manhattan Beach, Marina Del Rey & West Hollywood) or shop online at www.BeautyCollection.com . The best part is that either in person or online, customers will discover the most unique, luxurious hard-to-find, feel good beauty products in one place. So far, I've only had a chance to explore the Beauty Collection store in West Hollywood, which opened back in 2010. I was lucky to visit on a VIP Event night and was greeted by the store manager who was serving pink sparkling wine! While walking through the aisles of the Beauty Collection store in WeHo, one thing was clear–– I wanted EVERYTHING. I found the Phillip B Hair care line, which includes a rich and hydrating white truffle shampoo; American English vegan luxury hair products, Clive Christian perfume and even a section dedicated to Mason Pearson brushes... wow! Mason Pearson's rubber-cushion hairbrush is considered one of the best brushes in the world. The retail price for a large-size brush is around $350. Beauty Collection also carries some of my favorite makeup brands and other fantastic accessories like GoldSin Jewels (real 24k body appliqués), Combinal eye lash dyes (change your natural lashes to blue or green! ), Billion Dollar Brow kits and Cake Satin Sugar dry shampoo. Needless to say, I walked out with a bag full of goodies, including my favorite–– a little black box that contained unique skin products! I learned that Beauty collection has a member program where, customers can earn money back on their beauty purchases! All you have to do is visit a store in person, request and fill out an application and you can become a member and earn Beauty Bonus Dollars! 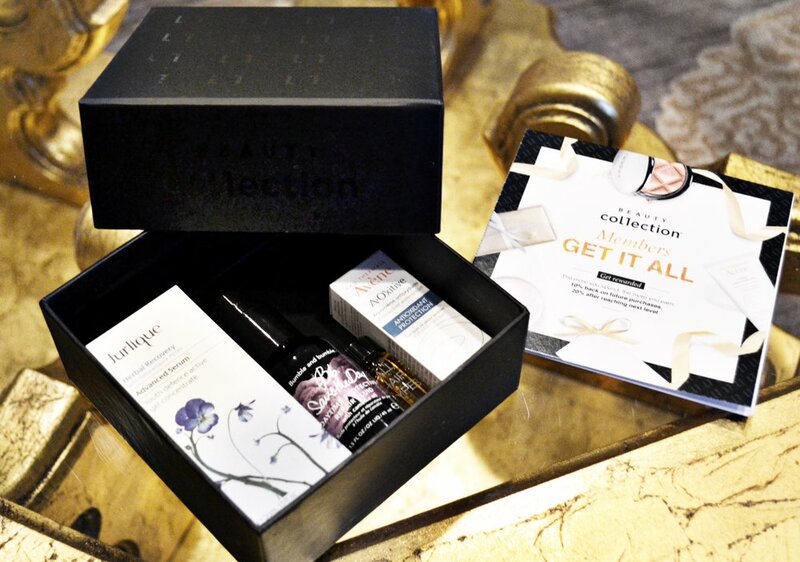 The little black box (pictured below) is called Beauty Concierge. It's a monthly gift with four new products. Members who spend above a certain threshold amount receive this gift as part of the program. Beauty Collection Discount Promo Code! I've partnered up with Beauty Collection through January 10th and customers who shop online can enter the code mommyinla for a 20% discount! This means you have several days to get your favorite beauty products and start off the year looking and feeling beautiful in LA. Take it from me, you deserve it! Thanks for reading and have a beautiful new year. May 2018 be your most glam yet! Here’s a fun, free and festive thing to do this holiday season: Visit Olvera Plaza in Downtown L.A! I walked over yesterday during my lunch break and the first thing that caught my eye was the beautiful life-sized nativity scene. It takes up the entire bandstand area with hanging aluminum stars that illuminate it at night. The shopping is simply fantastic with everything and anything Christmas-y that bears a touch of Mexico: There is a Christmas tree standing in front of rows of colorful papel picado (Mexican tissue paper banners). There are shops with varieties of nativity scenes and Mexican-themed ornaments. There are also piñatas, wreaths and streamers to celebrate the holidays, con gusto. If you visit Olvera Plaza, don’t forget to stop by the oldest house in Los Angeles. The Avila Adobe Home is a free admission museum and even some of its antique furnishings have been decorated with a touch of Christmas Spirit. And happening nightly at Olvera Plaza through December 24— Posadas! Posadas are like a presentation of the journey Mary and Joseph experienced on their way to Bethlehem. Every night the Posadas feature ballet folklorico presentations, a candlelight procession and the breaking of a piñata, beginning at 7:00pm. Aquí les va una idea sobre algo que pueden hacer esta temporada de fiestas: Visitar la Placita Olvera en el centro de Los Ángeles. Ayer fui durante mi hora de almuerzo y la primera cosa que me llamó la atención fue el hermoso nacimiento que ocupa todo el espacio del kiosko. Hay estrellas de aluminio picado que cuelgan e iluminan las estatuas de Jesús, María y José. El mercado de la placita está divino y surtido con todo tipo de decoraciones y artículos navideños que por supuesto tienen su toque mexicano. Hay un árbol de Navidad ubicado en frente de hileras colgantes de papel picado y tiendas con una variedad de nacimientos y esferas con temática del folklor Mexicano. También puede encontrar piñatas, serpentinas y se pueden apreciar bellas coronas navideñas. Si usted visita la Placita Olvera, no se olvide de pasar por la casa más antigua de Los Ángeles. La residencia Avila Adobe es un museo con entrada gratis. Ahí el personal se dio la tarea de decorar algunos de los muebles y accesorios antiguos con un toque navideño. ¿Y que sucederá cada noche en la placita Olvera hasta el 24 de Diciembre? ¡Las Posadas! Habrá ballet folklórico, canto aguinaldos y piñata todas las noches, a partir de las 7:00pm. This Week: George Balanchine's The Nutcracker Opens in LA! Selfie in front of a promotional poster for George Balanchine's The Nutcracker at the Walt Disney Concert Hall! Don't Miss This Classic Ballet! True Story: The first time I ever watched The Nutcracker, I was sitting inside the "Gran Teatro de La Habana" in Havana, Cuba. The year was 2001 and the Ballet Nacional de Cuba performed El Cascanueces so flawlessly and beautifully that it pretty much satisfied any ballet watching inclinations I may have had for many years thereafter. Fast forward to 2017 and this busy mom of two rough-and-tumble boys was waiting for an opportunity to dress up, take a comfortable seat inside a nice theater (preferably in my beloved Los Angeles, California) and let a live orchestra joyously calm my senses while a world-class ballet performs this one-of-a-kind classic holiday ballet. Well, the opportunity has arrived! George Balanchine's The Nutcracker will be showing at the Music Center's Dorothy Chandler Pavilion from December 7 through December 10. Performances will include, for the first time, student dancers from two L.A. arts academies — The Colburn School and The Gabriella Foundation’s everybody dance! — while the Los Angeles Children’s Chorus will provide live vocals... isn't that awesome!? A live orchestra will play Peter Ilyitch Tchaikovsky’s timeless score. Friends, Michael Solomon, The Music Center's vice president of presentations and education said: "We wanted to give Los Angeles a Nutcracker beyond proportion." That's reason enough to dress up, take a comfortable seat inside the Dorothy Chandler Pavilion and let Peter Ilyitch Tchaikovsky’s timeless score calm my senses while the Miami City Ballet and local dance school excite them! I can't wait to share more about our trip and let you know all about Benny's reaction! Tickets for George Balanchine's The Nutcracker can be purchased here. For more information, visit The Music Center.